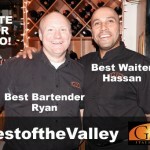 If you’re a Gio regular, you probably know Hassan and Ryan! 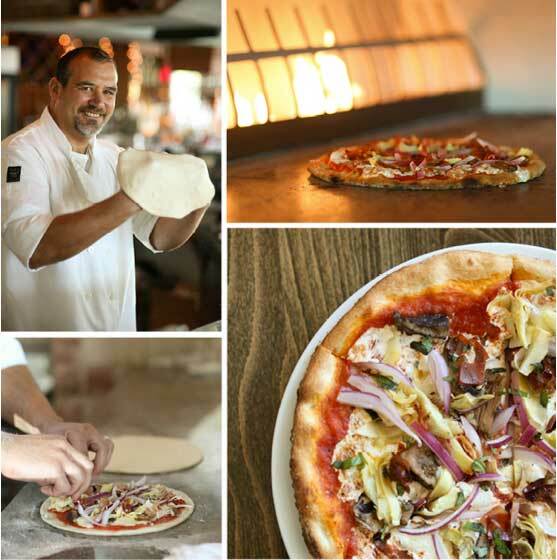 They’ve been part of the Gio family since the beginning, making a meal at Gio that much more wonderful. Please take a moment to let Style Magazine know that they are the Best of the Valley! Vote now!!! Other Best of the Lehigh Valley categories where we think we excel!! BEST SANGRIA BEST BREAD THAT’S TOTALLY WORTH THE CARBS (Tony drives all the way to NY for it!) BEST JUICY BURGER (It’s on our lunch menu if you have not tried it) BEST PLACE TO GRAB DINNER ON THE WAY HOME (If you’ve never tried our take-out, you should!) BEST BUSINESS LUNCH LOCATION (Remember, you can call in your order ahead of time if you are on a schedule) BEST GIRLS LUNCH LOCATION BEST OUTDOOR DINING BEST WAITRESS/WAITER(NAME AND ESTABLISHMENT) (Hassan!!!) BEST BARTENDER WHO KNOWS YOUR SIGNATURE DRINK (Ryan!!!!) 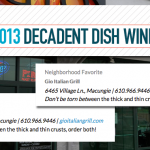 BEST PLACE TO IMPRESS YOUR DATE For the third year, Lehigh Valley Style will poll their readers to find the best of the best of the Lehigh Valley. And you, our beloved customers can help us by voting! With over 8,500 votes in its second year, the third annual Best Of the Lehigh Valley program is an online survey that polls LV Style readers on their favorite businesses in over 100 categories including: food & drink (That’s Us! ), health & wellness, shopping & beauty, leisure & recreation, entertainment & nightlife, services & help and kids & family. Winners are revealed in the June edition of Lehigh Valley Style and celebrated at the Best Of the Lehigh Valley Party. Submit a completed entry and you will automatically be entered to win a pair of VIP tickets to our 2016 “Best Of” Party in June! Voting will run through 1/31/16. One submission per person is permitted. Remember, for your vote to count, Lehigh Valley Style requires you to vote in at least 25 categories. Winners will be revealed in the June edition of Lehigh Valley Style along with a celebration at our “Best Of” Party! 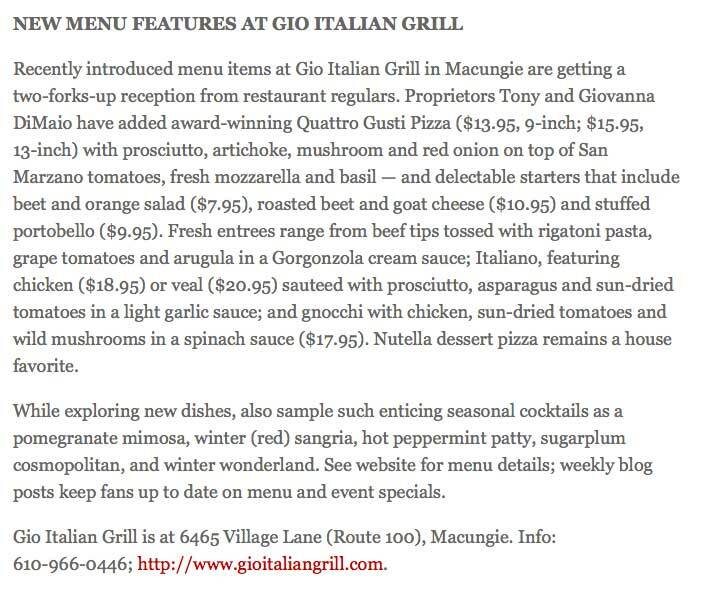 Thank you for your continued support of Gio Italian Grill! We hope to see you at the “Best Of” Party!!! Last year, our very own Hassan DeJesus was voted Lehigh Valley Style’s best waiter. Well, it’s time to vote again, and we think Hassan has what it takes to win again! 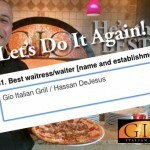 If you’re a Gio regular, you probably know Hassan! He’s been part of the Gio family for over seven years, making a meal at Gio that much more wonderful. Best of the Lehigh Valley categories where we think we excel!! Gio Has the Lehigh Valley’s Best Waiter! That’s right! He’s right here at Gio! The Lehigh Valley’s BEST waiter, voted by the readers of Lehigh Valley Style, is Hassan DeJesus! For the second year, Lehigh Valley Style polled their readers to find the best of the best of the Lehigh Valley. And you, our beloved customers voted and told them that Hassan is the best waiter in the valley. 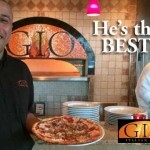 If you’re a Gio regular, you probably know Hassan and agree! He’s been part of the Gio family for over seven years, making a meal at Gio that much more wonderful. According to owner Giovanna DiMaio, Hassan is so popular because he gets to know his customers and what they like. “Customers trust his recommendations,” says Giovanna. “He has an extensive knowledge of our dishes and ingredients.” When you talk with Hassan, you can immediately tell that he loves working at Gio Italian Grill. Asked what is his favorite thing about working at Gio, he is quick to respond, “The customers!” And the customers love him too. “We come in just to see Hassan. He has been our waiter for years. He always knows what I drink and is spot-on with his recommendations,” said one of his regulars. She adds, “And my daughter loves him!” According to Giovanna, “Kids love Hassan! He is as good with kids as he is with adults.” That’s easy to believe. Hassan has five children of his own; Bailey, Leila, Tessa, Jackson, and Chase. You can see his face light up when he talks about them. Stop in any night but Thursday, that’s his night off, to congratulate Hassan on being voted the Lehigh Valley’s best waiter. Try a couple of his menu favorites; the seafood salad followed by the short ribs. If you ask really nicely, he may even be able to get the guys in the kitchen to whip up Pappardelle Brodo, his all-time favorite Gio dish that was recently removed from the menu…but he does have a few connections <wink>. When the moon hits your eye like a big Nutella pizza pie, that’s amore. Wait…what? 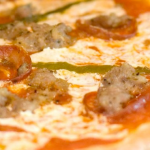 Okay, so maybe Dean Martin never sang about this particular kind of pizza, but who says you can’t have pizza for dessert? Certainly not Giovanna DiMaio. 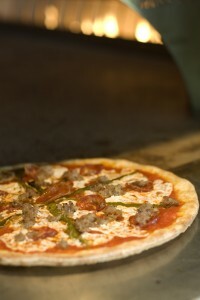 As co-owner of the sleek GIO Italian Grill, she knows a thing or two about pizza—even those not of the savory variety. 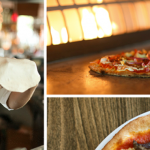 Though the Macungie restaurant is known for its authentic approach to rustic Italian cooking (not to mention its artisanal pizzas), the custom-built open-hearth brick oven responsible for churning out crisp, perfectly baked pies is also the birthplace of the popular Nutella pizza. 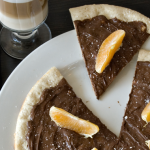 The cracker-thin crust is covered with a generous smear of the cocoa-tinged hazelnut spread and orange slices—to perhaps off-set the guilt of this decadent indulgence. When people talk about us they use words like “fresh,” “authentic,” and “stylish.” Good Taste is no exception. They visited us for for a write-up in their August/September 2012 issue. 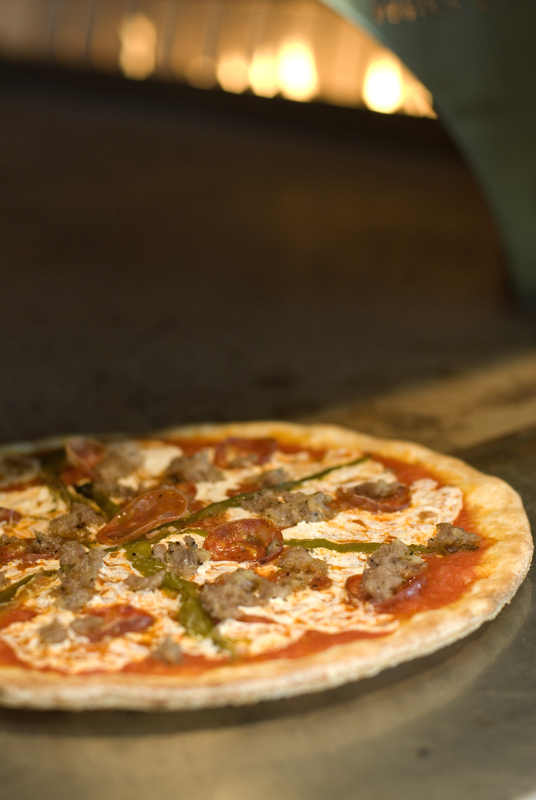 They learned about our open-flame Woodstone oven, how Tony makes sausage from scratch, and Giovanna’s vision for using the freshest, best local and imported ingredients. 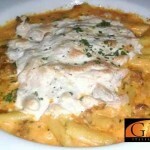 Click here to read the review from Good Taste.